As Gini returns from a vacation of her own, she and Chip discuss the pros and cons of unlimited paid time off (PTO) policies for agency employees. Gini has implemented such an approach in her own business, while Chip has simply taken a lax approach to counting days instead of a full-blown open-ended plan. What works and what doesn’t when it comes to unlimited PTO? How do you avoid abuse, plan for agency needs (especially on small teams), and still deliver on the promise of unshackled time off? 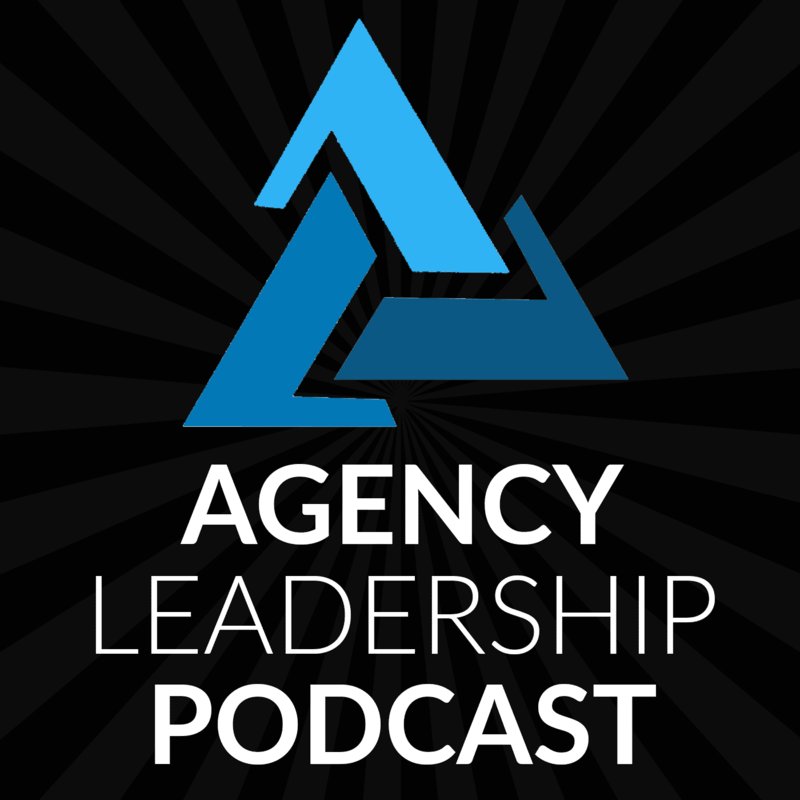 Hello, and welcome to another episode of the Agency Leadership podcast. I’m Chip Griffin. And Gini is back from vacation. Welcome back, Gini. Isn’t it good to be back? Oh, yeah. I really love the dark, cloudy, rainy, cold weather here. It’s amazing. You do know you live in Chicago, right? But you know, by April you would think that we’d start to have some spring. But no, it’s still cold. No. Yeah, well, it’s you know, as some listeners know, I’m a baseball umpire and it is it is baseball season here in New Hampshire. Although we still have my grass is about one third snow-covered still, in my yard. Yeah, yeah, but we were supposed to have some some baseball, some varsity scrimmages this past weekend. But they – the field wasn’t, wasn’t dried out enough from the melted snow yet to play. But usually the first couple of weeks of the season, you know, I have at least one game that I’m umpiring while it’s snowing. So, you know, usually just flurries at that point. But it’s it is awfully fun standing out there as an umpire in the freezing cold freezing. Or maybe nice cold rain. You know? They tell you that April showers bring May flowers, but the April showers just make you damn cold when you’re standing out there in them. Doing nothing. Yes. Yes. That’s terrible. Actually, you know what, I have a great story, which I won’t tell here because it’s long. But a couple of years ago, I did a 400 mile bike ride in the middle of May. And it was 40 degrees and raining and hailing and even when you’re moving, not so much fun. Well, I would think particularly because when you’re on a bike, I mean, that’s really gonna cool you off. Yeah it’s pretty scary actually. Yeah. It’s not fun. I like doing distance running. But that you know, you usually warm up when you run. Yep. Yeah, not fun. Oh, yeah. Yeah, so it was nice and warm and sunny in Miami, as you would expect. And then I came home to not nice and warm and sunny. I’m just I’m glad that you returned. It was hit or miss there for a bit I get I’m gonna be honest, was a little hit or miss. I would like you know, I think everything’s set up appropriately at the agency. It can just run itself, right? Yeah, why not? Send me my checks, we’re good. Yeah. And and and I’m sure that the thought of having to record one of these podcasts was like, Oh, no, that’s it – no. Don’t want to do that. I, I want to stay here on the beach. Actually, that thought did not cross my mind. Because you didn’t think about this podcast at all. So I guess on the plus side, you didn’t have a negative thought about it, on the downside you had no thoughts about it. That’s okay. That’s okay. I’m not offended. And our listeners aren’t either. So, but the but one of the reasons why I’m glad you came back is because your agency, your business has an unlimited PTO policy. And conveniently, that’s the topic for this podcast. I know, I mean, I just did, it seems so appropriate that you know, when you had a vacation, to talk about vacation policies, because, you know, most agencies sort of grapple with this one. And, you know, different agencies, depending on often when they were created have, you know, different approaches, some of them are the traditional, you know, after two years of service, you get this many days, after five years of service, you get that many. And frankly, I’ve always hated those policies, because they seem nonsensical, and they sort of reward you just for sticking around. And, and I’ve worked in places where you know, after 10 years, you get like six weeks of vacation time or something like that. And, you know, it sounds nice to reward people, but at the same time, you know, that can put a real pinch on a business, depending on how they take it. And most of agency policies don’t do a good job of delineating. Okay, well, how can you take this right, you know, is it, can you take it as a six week chunk, whenever you feel like it? You know, are there discussions that need to take place? And so, a more modern incarnation has been this notion of unlimited PTO, where, essentially, the employee just decides, you know, what’s appropriate, they work with their supervisor to schedule it. And again, different places have, you know, different ways to sort of memorialize it, but it’s a it’s a, it’s a very different approach. It’s something I think that we’ve seen a lot of in the technology startup community that I’m very familiar with, but you know, now it’s come over to the agency space. And so I’m interested in in the experience that you’ve had with it, and, you know, sort of a discussion about, you know, whether that’s a good idea for most agencies. That is different. I honestly can say I’ve never heard a story about any employee leaving because they were forced to take paid vacation. She did not like that at all, didn’t like it, she didn’t like to be forced to do anything. And, you know, the first time she took it, very unwittingly. And the second time I I said to her, okay, look, you got to take some more time off, no, it didn’t, it didn’t go over very well. So there are some things that you learn for sure. And there are some boundaries that you have to set. But you know, one of our rules is, is you can’t take more than two weeks off at one time, you know, which allows people to go to Europe and spend some time in Europe without having to rush through, you know, a regular five day business day vacation. But that’s one of the rules. And the other rule we have is because we’re a fairly small team. Only one of you can be off at the same time. So, you know, which is difficult when you have a team with – who are parents who – spring breaks all fall at the same time. Right. That was the challenge we learned last week as well. But yeah, we I mean, but for the most part, I just appreciate that we don’t have to track it, you know, if somebody is abusing it, you know if somebody is abusing it, you know that, you know, but we’ve not had that. I mean, it’s been on the other end of the spectrum where they’ve not taken enough time off. …because having a late fee is seen as basically giving them permission. And so the parent then says, Okay, well, it’s $10 a minute, you know, I’m happy to pay 100 bucks to have those 10 extra minutes, right, so I’m not racing to get there. And so you – they actually have in some of the research found, that parents are more likely to show up late in those scenarios, where if there is no late fee, they sort of feel the pressure to be on time, because it’s what’s expected. And so I think, you know, some businesses may see a similar effect out of unlimited PTO policies. Now. At the same time, I, you know, I am someone who, in my various businesses over the years, I’ve never had a formal unlimited PTO policy but I also have made very clear to my employees that I’m not going to be sitting there actively tracking every bit of time that they take off. To me, I had policies in place sort of as guidelines. And, frankly, as a downside protection for the business in case somebody is, you know, doing something to try to abuse the system, right. I try to, as much as possible, treat it as unlimited PTO, but you know, I wrestle with this one, you know, for a variety of different reasons. And a part of it is just it – I think it can add confusion for employees, if they, if they’re not quite sure how it works. But in your case, you – It sounds like you’ve set out very clear policies about limitations and who gets to take it when, and that’s I think where a lot of businesses fall down. In not providing the framework for holiday time, let alone apart from just the number of days, right, they say, Okay, here’s your number days. And they don’t speak to any of the other things. Right. Well, and I will say to that one, we in that – within that framework, and and we learned this as well, as you know, we’re going through is there is a minimum number of days that you have to take. And like I said, in some cases, we have to force that, right. So we combine all of that – we combined holidays and sick time, vacation time we combine all of it. So we there’s a minimum number of days, you have to take every year. And that allows us then if somebody leaves and they’ve accumulated some days, then that, you know, there’s that piece of it too, because in the beginning, we were like, well, you have unlimited paid time off, if you didn’t take any time before you quit – But there, from a legal perspective, you can’t do that, there has to be some sort of framework within there. So if you want to say there’s 15, or there’s 20, or there’s 25 days, whatever happens to be, the minimum that they have to take, and they leave halfway through the year, then you will still pay that back paid time off that they haven’t taken yet, right. And that just fell within the the laws of, of how we run our business. So you definitely want to check with your professionals on that. But you also have to think about that kind of stuff, too. So there is a framework for it, there are expectations, there are things that unlimited paid time does not pay, and then you know their expectations in terms of how much you can take at one time and all that kind of stuff. Right. And I think, I think one of the things you said there is key and we really need to underscore it, which is no matter what your policy is, you need to have it reviewed by the appropriate professionals, whether you have an HR consultant or a lawyer, or however you are vetting these documents, and we hope very much that you are vetting these documents and not doing them just on your own or based on what you saw on some message board on the internet, or, frankly heard from the two of us. As smart as we are and as many things as we’ve gone through over the courses of our careers, we would still encourage you to talk to the folks who spend their whole day on these kinds of issues, because it will vary somewhat from state to state, it will vary based on the size of your agency, there are all sorts of requirements that you need to be considering when you’re putting together vacation policies. So you want to think about not just what’s right for the business and what’s right for the employees, but also what fits within the frameworks of the laws and regulations that apply to your business, wherever you may be. Yes, we are not those professionals. We are not. We you know, we can give you some general guidelines, and you know, we’ll often spot things and say ooh, that’s probably going to be a problem. But you really want to make sure that you’re vetting this one because there are impacts. And, you know, you touched on it very briefly. But when an employee leaves, typically in most jurisdictions, you have to pay out whatever accrued, unused vacation time they may have. And so you want to make sure that you’re very clear, with things like how does it accrue, right? So regardless of whether you’re doing, you know, a minimum with an unlimited, or you’ve got set traditional days, whatever it is, you want to make sure that you’re clear, okay, this is accruing at X number of days per month, or whatever, so that, you know, because some businesses will set it up so that you just you kind of get a grant at the start of the year. And, you know, you can use it however you want over the course of the year, but you need to be careful to specify that, you know, it accrues in a certain way. So if someone leaves, you know, in February, you don’t have to pay them a full year’s worth of PTO inadvertently because you’ve ordered your policy inartfully. And so you want to think about that, you want to think about, as you said, Gini, you know, how you handle leave that’s outside of traditional vacation time. So you know, on the one hand, you’ve got things like you know, family and medical leave, maternity leave, etc. You know, those are the kinds of things that you typically would carve out of unlimited PTO. Because otherwise you can get yourself in a, you know, whole big mess there. Right? And it’s, it’s honestly, you know, I think that many agencies have a very difficult time and any small business have a very difficult time thinking through what the right policy is for maternity leave, in particular, we could probably do a whole show on that particular one, because there all sorts of minefields, and you know, everybody wants to be, you know, really, you know, good and helpful to moms and dads and all that kind of stuff. But at the same time, when you’re a small business, maternity leave can have a really tough effect on the business. And so thinking hard how you handle right, because if you’re, let’s say, you’re less than 10 people, if you have someone go out on maternity leave, you have to fill for their work, but you can’t hire someone temporarily. And you’re still paying them as well. Which is – It’s rough, it’s really rough. Correct, correct. So so those are, you know, and then, you know, we’ve all – I’m sure, known people who have had challenging pregnancies, and so then you can have someone who’s out for even longer than you anticipate, and again, as a business, and you want to be helpful to your employees as much as possible, but you have to figure out how to do it within a framework that works for the business, that works within the law and all that kind of stuff. So, so do think about those things. And I am – no matter what kind of vacation policy you have, I’m a big believer in wrapping in personal days, sick days, and vacation all into one pot, because otherwise you get into the silly discussions. You know, we have, you know, as I’m sure we may have all done, you know, in earlier days in our career or in school, cough, cough, I’ve got a cold today. Yeah, yeah, just because it’s, you know, 80 degrees and sunny outside. Finally, right, you know, and I want to go ride my bike out in the nice weather, right, you know, it? I’ve never done that. No. No never. I’m sure not. No, that would be foolish and totally unexpected. So, you know. So, as a boss, as an owner, you don’t want to get into the business of having to vet whether your employee is actually sick or they’re just taking time off to deal with, you know, something fun, or you know, an errand, just put it in one bucket, just unless for some reason your jurisdiction frowns upon that, just put it in one bucket, it’ll make your life so much easier. Well I would say it makes for better morale and culture. 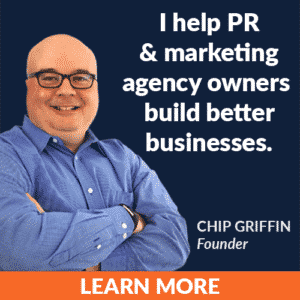 Because when I was very, very young, I was in my very first role at the big agency, my apartment burned down, the guy above, above me was cooking a turkey overnight on his wood deck, and burned the apartment down. And because we had, I think we had five days of sick time, and 10 days of vacation time, well, having to deal with all that, and the Red Cross and insurance and all that it took, like eight days, and they made me take three unpaid, sick days. Even though I had 10 days of vacation time still sitting there, they made me take three unpaid sick days to deal with all this. And I’ll never forget, I’ll never forget how awful that made me feel in the big scheme of things where I’m homeless, essentially, and you’re making me take three unpaid days off because I’ve used all my sick days. So you have to think about those kind of things. It was bad. Wow. Yeah, that is very poor, employer, employer-employee relations. And and even even if you’ve got clear policies, there’s a place to make exceptions. Just let me take my dumb vacation days! I would, I would suggest that that might be one of those places where you want to be lenient. And honestly, if someone’s in there, counting every one of those, in that kind of situation, that’s, I’m not sure that’s the kind of employer that you probably want to stick with. Yeah, and I think I mean, it definitely hurts morale, because you are, and you know, I’ve, I’ve worked for three different agencies, and at all three agencies, they have counted time like that. And it just…I wanted to make sure that when I started my agency, I did things differently. Yeah, I mean, I had, I once had a job where I was, it was actually where I was working when I got married. And so I ended up leaving that employer not too long after my honeymoon, which – my honeymoon had put me one day over what I had accrued to that date in the year. And so they tried to bill me for, for that, that one day over. My, my supervisor heard that HR was doing that. And he called the HR head into his office and said, No way, Jose, that that simply, simply is not going to happen. I don’t care what your policy manual tells you to do. You’re not doing that. And, you know, I mean, look at it certainly wouldn’t have, you know, killed me to lose that day of pay. But it just, it’s a silly, silly way to treat people. It is a silly way to treat people. So I think you do have to think about all of those things. And to your point, putting it all in one bucket makes sense from that perspective. So what you know, what would be your advice on unlimited? I mean, you know, based on on the experience that you have, you’ve had and what you’ve seen, you know, if you were talking to someone who was contemplating what their agency’s time off policy should be, would you advise them to, to go the unlimited route? Or, you know, how do you see it? Yeah, I do. Just because it, you know, especially if you’re small, and you’re trying, and you can’t maybe pay the same types of salaries that some of the bigger agencies can pay. But when you’re enticing somebody to come join your team, it’s those kinds of perks that help immensely. Those are the kinds of – the flexibility, the ability to work from home, you know, or work from home a couple of days a week when there are kids activities, or whatever happens to be that having that kind of flexibility is really enticing to people, especially as they’re joining your team. So I do think you have to keep an eye on it. Because to our point earlier, most people don’t take advantage and in fact, don’t take as much time as they would if they had a set number of days. So you do have to make sure that you’re – as part of your culture, you’re you’re forcing that, you know, first forcing the issue and saying, look, you got to take some time off, because it’s better for everybody, it’s better for you, it’s better for the business, it’s better for productivity, it’s just better. So take the time off. So you do have to do that. But I do I I’m a big fan, because it does. It’s a great perk that not everybody offers. Right. And agencies are a talent business, right? An agency is based solely on the the skills and the efforts of the individuals that make it up. And so it’s a constant battle to recruit and retain the best people, for your agency, no matter who you are, where you are. And so something like this, if you can use an unlimited PTO policy as leverage to get the right people in as a way to to get them to stick around, I think that’s very much worth it. I think that the trick is to look at things like minimums and to look at, you know, what, what are your policies around how they can be used? So you need to be thinking about how many days at a time can someone take? In your case, you chose two weeks, you know, whatever the number is, you need to figure out what works, you need to figure out how to -particularly if you’re small, how to deconflict requests for the same time period, right? Because you can’t have everybody taking the same window. And so, you know, is that is that based on seniority? Is it… You know, do you I’ve seen some policies that do it based on Okay, you know, who had time off in the same period last year, right? So, you know, if someone got Spring Break last year, you know, someone else gets first crack at it this year, same thing with Christmas, or New Year’s or Thanksgiving or whatever, right? So that you’re, you find ways to make it equitable. And on some level, it doesn’t matter what the rules are, what matters most is that you spell them out. So everybody understands. And it’s not, you don’t ever want to have a situation where Jane and Sally come to you, and they feel like you’ve made some arbitrary judgment about who gets the time off, right? You want to make sure that you that by policy, you can say, this is why, you know, you get it and you don’t, because someone’s going to be upset. Inevitably, if someone if someone says I want this time off, chances are there’s a reason that they want that particular window. And so you need to think about those things in advance because any – look, an employee handbook, and the rules around it are as much for protecting the employer as they are for just making it clear to everybody. You don’t want to have to spend your whole day trying to sort these issues out. Oh come on, your business runs itself now, please, please. I wish. So there are going to be instances where, yeah, you you’re going to make some exceptions. But I think you’re right to the point of, you know, just just putting it on paper and saying these are the expectations, and it’s going to evolve, it’ll change 100 times, and you’re going to have stuff come up that you didn’t consider in the beginning. It’s just, that’s just how it works. But think, you know, use the framework that we just talked about here, to put something on paper now. And then as you evolve that you can, you can continue to evolve your policies. Right, and people will get creative. You know, it’s not necessarily that they’re trying to abuse a policy, but they may inadvertently start to abuse it because they thought about it in a way that you haven’t. So you may have to make adjustments to it over time, you know, if you’ve got if you’ve got someone, for example, who uses unlimited PTO to take every Friday off? Okay….I mean, it’s, look, it’s right, I have seen that. So I in fact, I’ve been in places where people have had enough PTO that they pretty much can take, like every Friday off. And that’s not really the way PTO policies are typically intended. But if you if you don’t cover that, then it’s then it’s something that they can do. And so you may need to just make adjustments, if you find that, you know, you’ve got a really smart workforce that figures out how to game the system. And look, if you want to have a four day work week, that’s, that’s fine. You can sort of work that into your policy, but you don’t want someone using an unlimited PTO policy as a backdoor way of achieving that. So, you know, and I think ultimately, and I had this discussion with with an agency owner on the Agency Leadership Skype channel last week, on this very topic, and it was okay, you know, if you’ve got someone abusing it, you have to sort of figure out, you know, what to do with the policy. And of course, you know, my perspective is if you have someone abusing an unlimited PTO policy, you probably have other issues with that individual that you’re going to need to address as well, right? Because if you if you trust people to do unlimited PTO, you probably trust him generally. But I think the reverse is true, too. If you don’t trust your employees to manage unlimited PTO correctly, there’s probably something broken in that relationship, whether or not it can be repaired is a topic for another show. But it’s you know, it’s the kind of thing that you need to find ways to work with if that becomes an issue in your business. Wow, that was a Martin Waxman segue. You know, I’m really working at it. It is it is it is my goal to find good segues wherever they exist. And maybe that’s because, you know, Dean Kamen founded the original Segway just down the street from my house here. So…well, not down the street. It’s about a 20 minute drive, but in any event, and by the way, he has a really cool house. So that’ll be a story for – Yeah, he’s kind of it’s got like a round atrium with a Stirling engine in the middle and he’s got a helicopter pad right there. It’s, it’s, it’s a it’s a pretty cool setup that he’s got at his house. But you know, as the inventor of the Segway, and lots of other things, he’s, he’s pretty cool guy, but it’s a different kind of Segway, spelled differently. 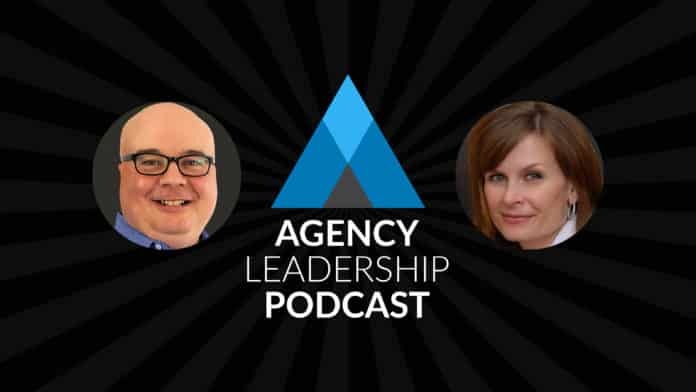 This segue, this segue brings us to the end of this Agency Leadership podcast because we are limited by my arbitrary and capricious 30 minute rule that we hope all of you appreciate.